I’m Mary. A Filipina who lives in New Zealand. Pinay refers to a Filipino woman; Kiwi is the nickname used internationally for people from New Zealand - hence the name “pinaykiwimom”. I am married to my husband, Joed, since January 2013 and after 2 years into that marriage, we were blessed with a baby boy. 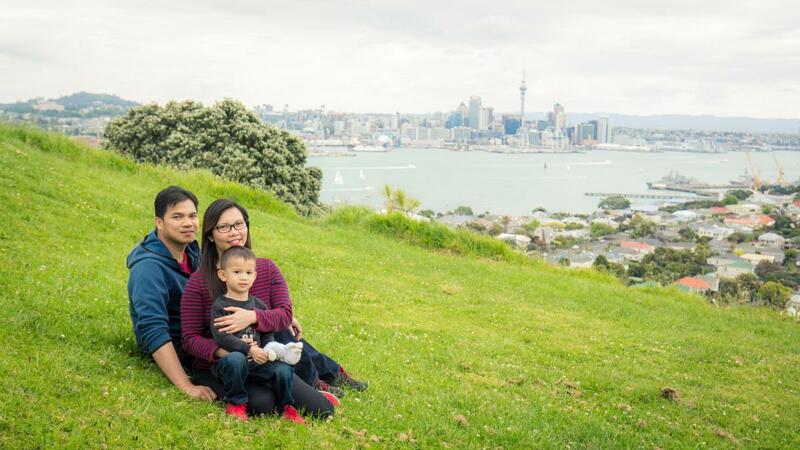 We've worked and lived in Singapore for almost 4 years, and soon after, moved to New Zealand with my husband and son in the winter of 2017 and settled in Albany, Auckland. In October 2016, after 8 years working in the hospitality industry (4 years in Philippines; 4 years in Singapore), I placed my profession on hold to be a full time, stay-at-home mother. Writing was never my talent nor passion, but I wanted to share to you readers my experiences and maybe even make a little money on the side so that's why I decided to write my own blog. I started blogging on June 2017 and my blog is geared towards motherhood, our life here in New Zealand, recipes and travel. I am a huge Harry Potter fan! I have red the books and watched the movies countless times. I also love to travel, if budget permits, I wanted to travel around the world! Hopefully, I will have the chance to meet new friends through this blogging.